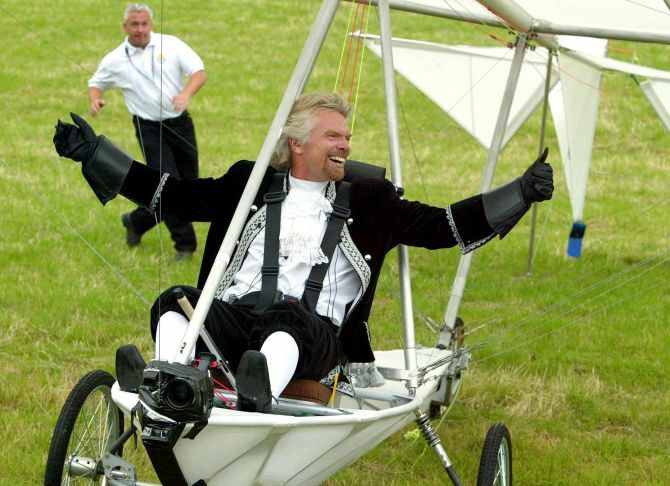 If it is Richard Branson, it has to be fun, adventurous, and out of the world experience. Forbes estimates his wealth to be about $5.1 billion and ranks him as the 281st richest person. Call him flamboyant, but he surely knows how to live life to the fullest and you will always find him doing things that most dream about. 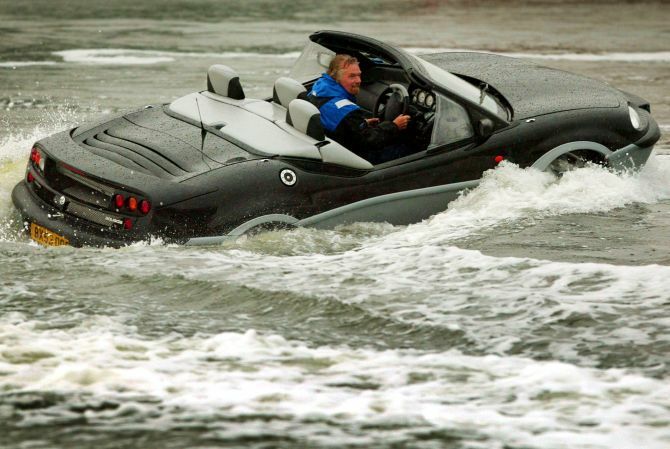 We present some of the fabulous toys of Richard Branson that would even make most wealthy jealous of his possessions. 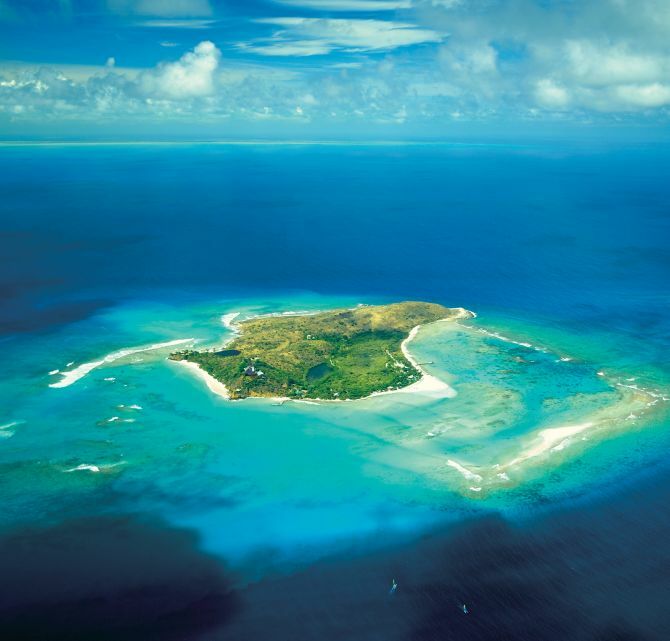 This is Richard Branson’s ‘favourite hideaway’ NeckerIsland. He first purchased the island in 1978 and it opened as a luxury retreat available for private hire in 1984. 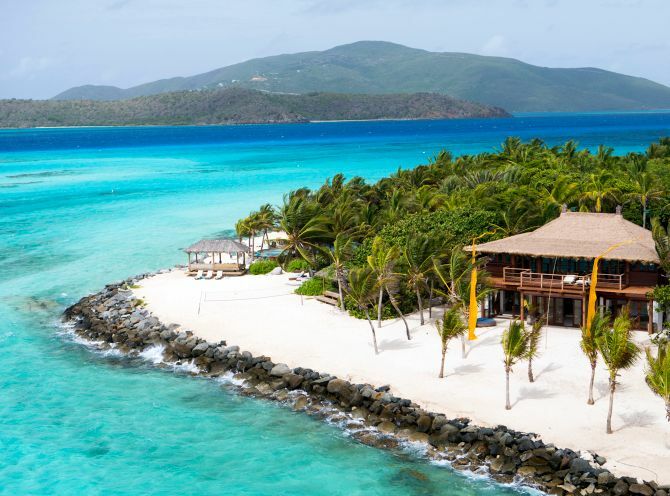 NeckerIsland is now part of Virgin Limited Edition, the luxury portfolio of Virgin Hotels Group Limited. There is a dedicated team of staff on island plus more than 200 flamingos who Branson says are part of the Necker family! 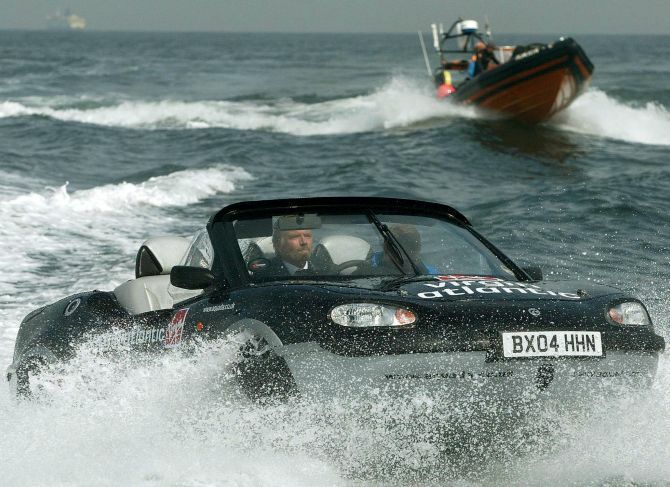 Richard Branson sets out for Calais, France, in an attempt to break the world record for crossing the English Channel in an amphibious vehicle. 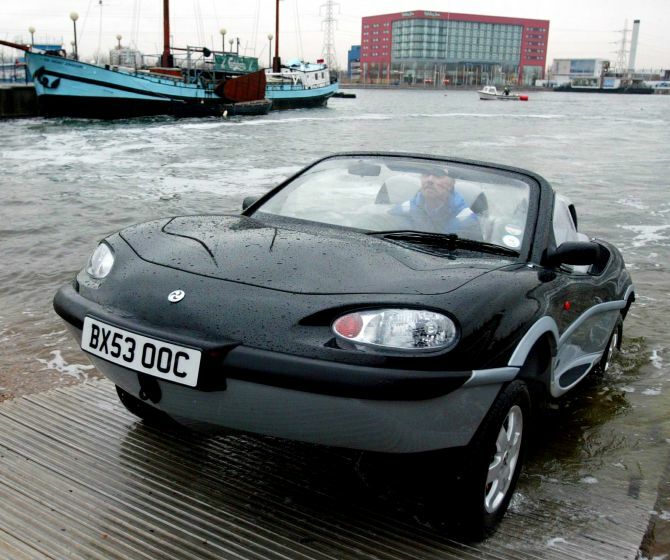 The 75,000 pounds ($135,000) Aquada amphibious car, which seats three people, can travel at more than 100 miles per hour (160km) on land and 30 miles per hour (50km) on sea. 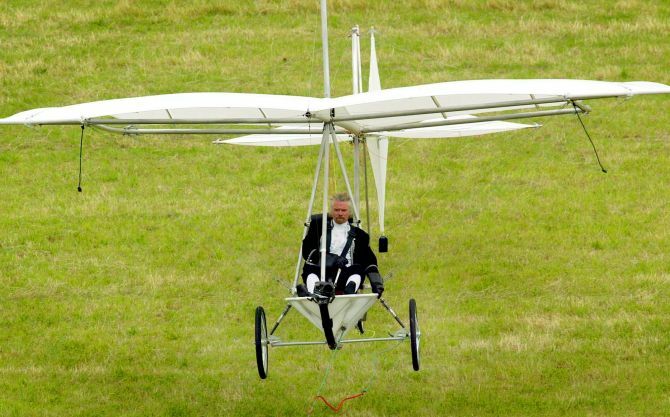 Richard Branson successfully flies a full working replica of the Cayley Flyer at Brompton Dale, North Yorkshire. He undertook piloting role on to celebrate the 150th anniversary of the first ever manned flight by the original Cayley Flyer which was designed by Sir George Cayley. 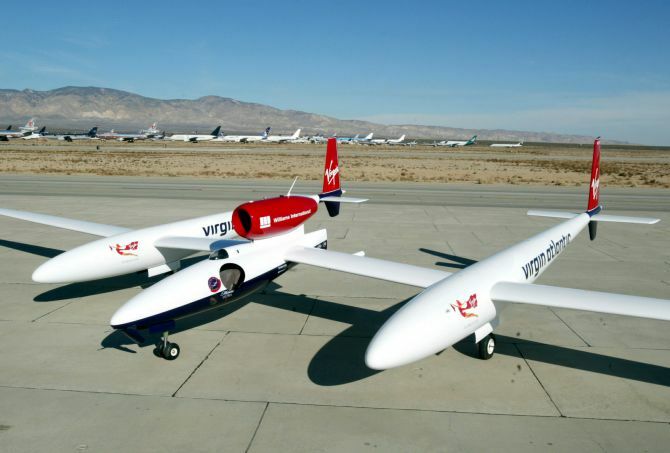 The Virgin Atlantic GlobalFlyer unveiled in the Mojave Desert. Richard Branson (L) and pilot Steve Fossett (R) of the US attend the unveiling of the Virgin Atlantic GlobalFlyer aircraft. It was piloted by record breaking aviator and sailor, Steve Fossett of the US, who flew the plane in a world record attempt to complete the first solo non-stop, non-refuelled, global circumnavigation. Branson was the reserve pilot. 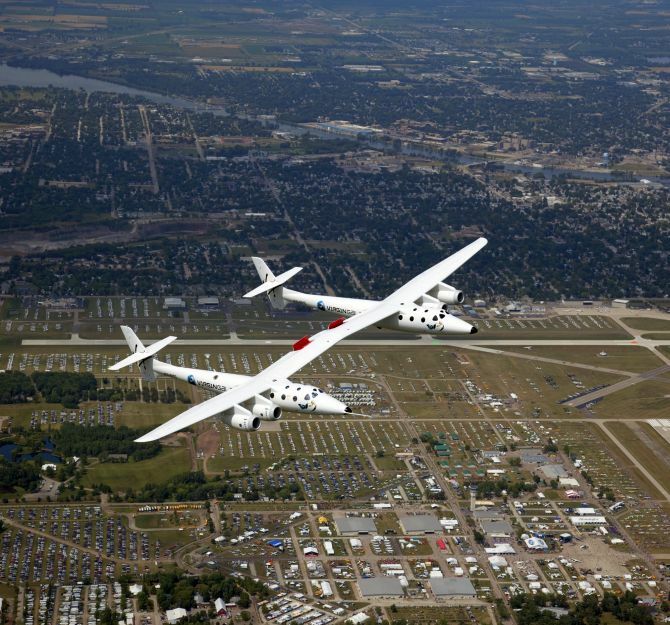 Virgin Mother Ship Eve, White Knight Two, makes several passes over Wittman Field site of the Experimental Aircraft Association Convention in Oshkosh, Wisconsin with Richard Branson onboard as a crew member. 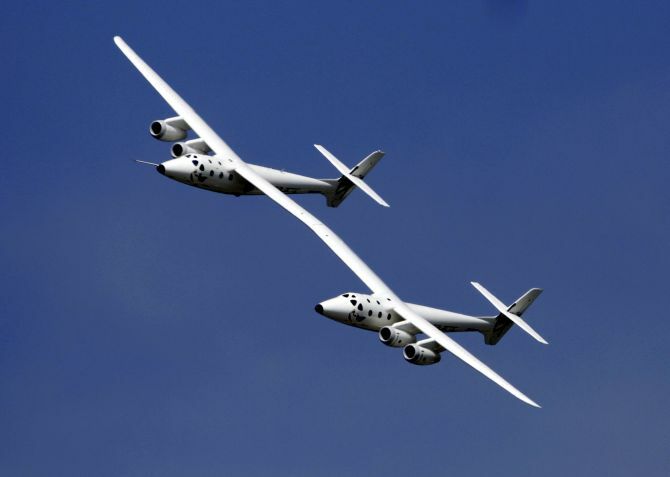 Virgin Mothership Eve is designed by Burt Rutan and financed by Richard Branson. Eve is designed to reach an altitude of 50,000 feet (15.5 km) and release Space Ship Two, which will transport passengers to space at 361,00 feet (110 km) in the future. 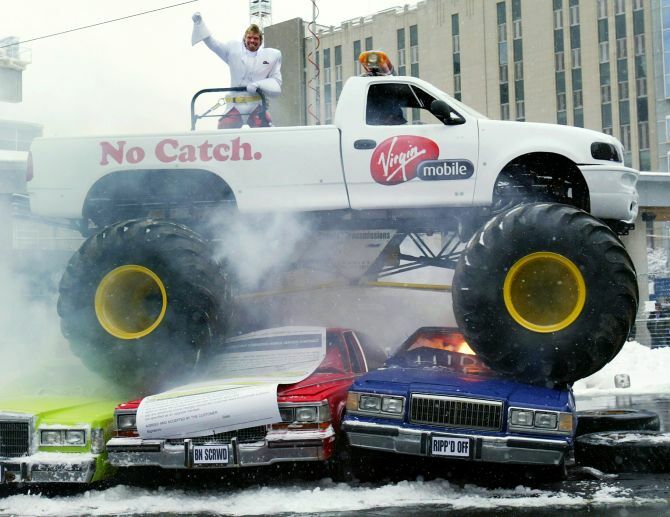 Richard Branson stands in the back of a monster truck while it crushes a group of cars during a stunt to promote the launch of Virgin Mobile's Canadian service in Toronto. 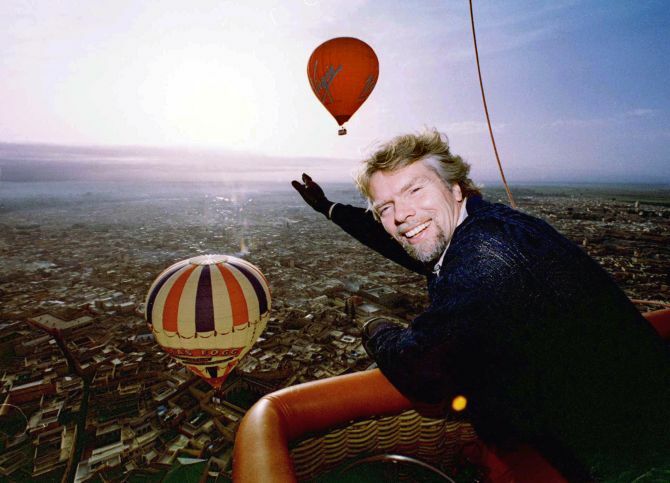 Richard Branson points at other hot air balloons flying over the city of Marrakesh. 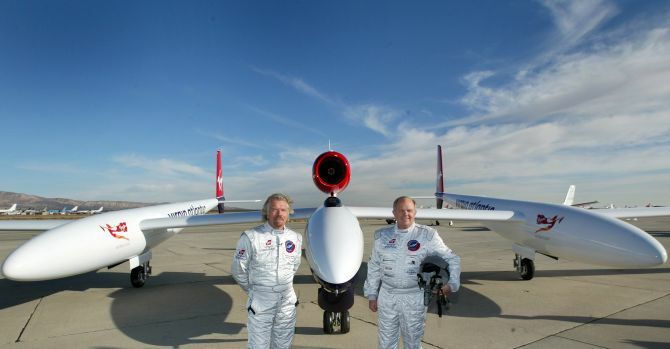 Branson did a round-the-world trip in the Virgin Global Challenger along with Swedish Per Lindstrand and Rory McCarthy. 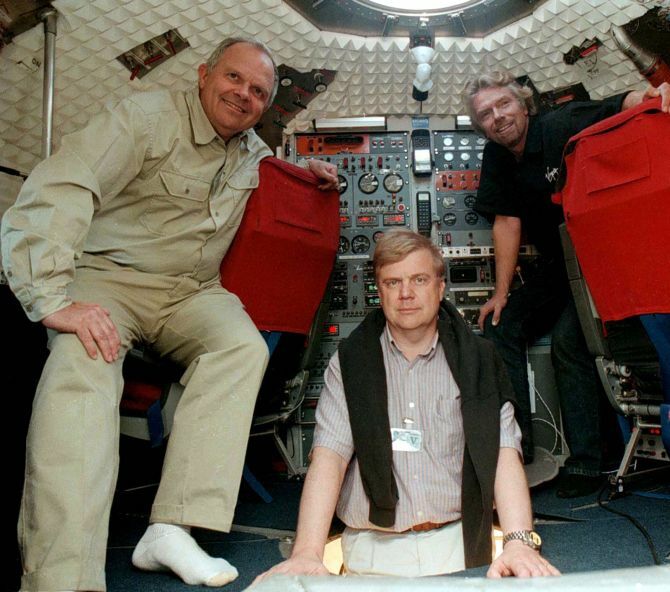 International balloonists (L-R) American Steve Fossett, Sweden's Per Linstrand and British tycoon Richard Branson stand inside their balloon capsule at a Marrakesh military airbase. 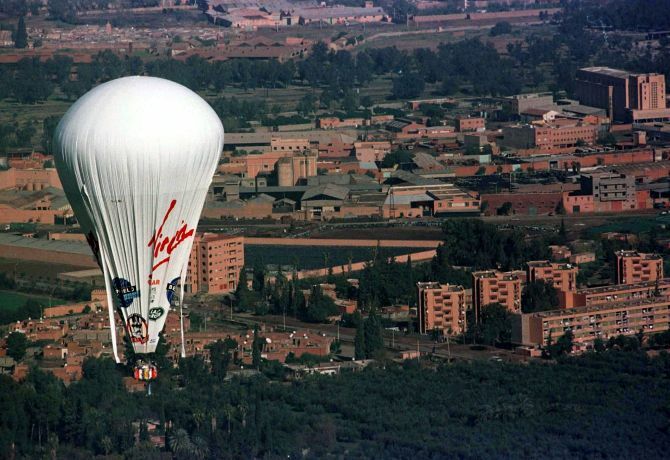 Richard Branson's Global Challenger flies over Marrakesh in an attempt to travel around the world in eighteen days. 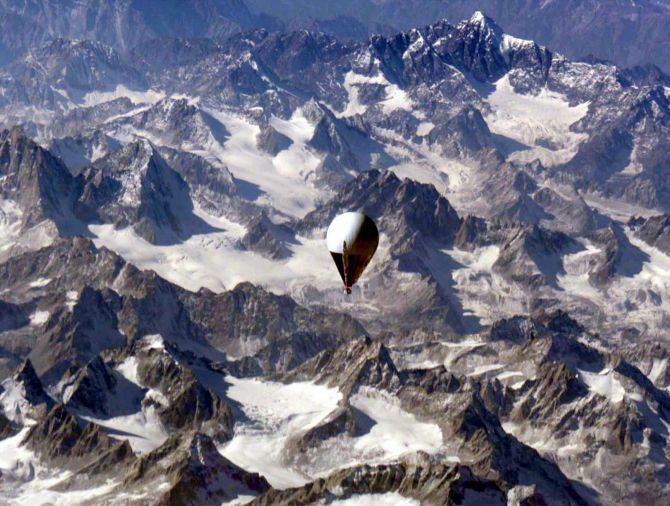 The Global Challenger balloon flies through the Himalayas at the border of Pakistan and India travelling at 55 mph and 30,000 feet. 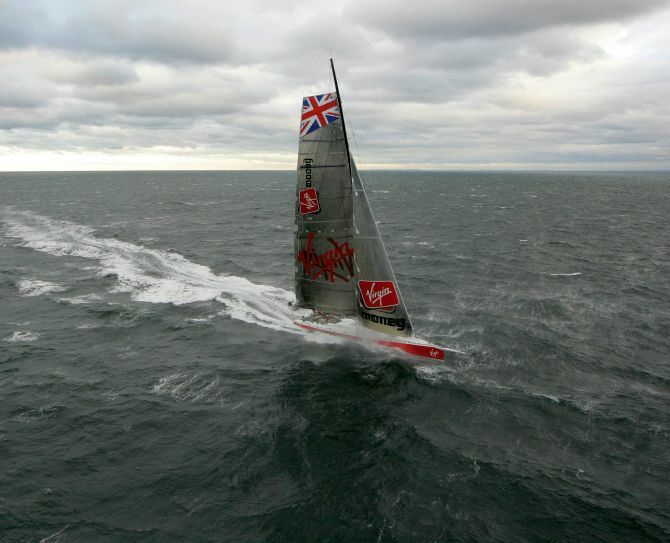 Richard Branson's boat "Virgin Money" sails in the ocean after departing New York, attempting to break the transatlantic mono-hull sailing record. 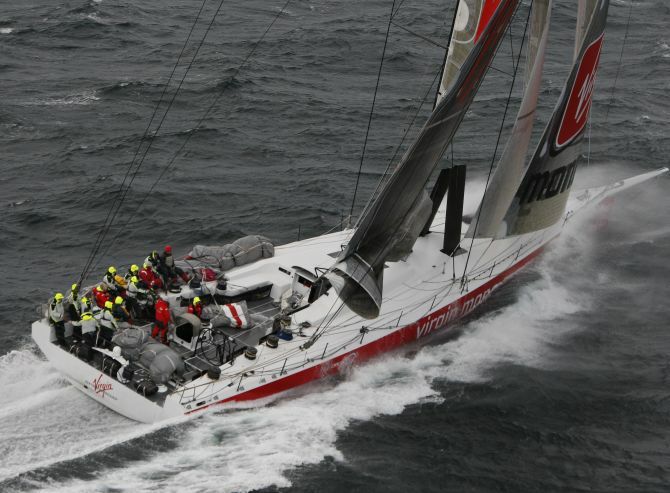 The 99 foot boat will be co-skippered by Mike Sanderson, Team Director of TEAMORIGIN, the British America's Cup challenger. 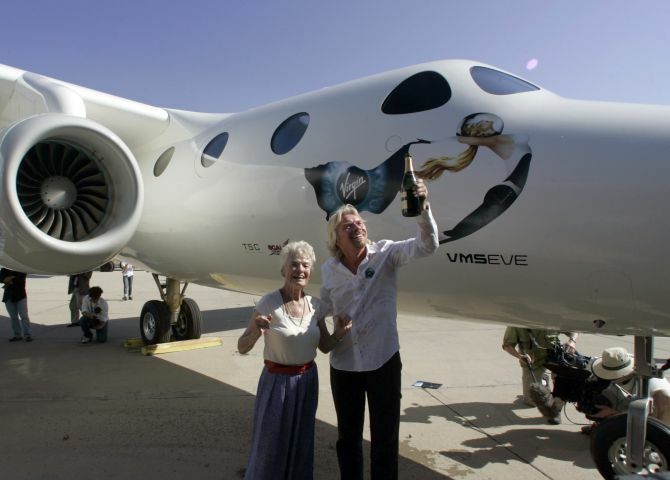 Virgin Group's Founder billionaire Richard Branson holds a bottle of champagne as he christens Virgin Galactic's mothership White Knight Two, Eve, in honour of his mother Eve Branson (L) during its public roll-out in Mojave, California. 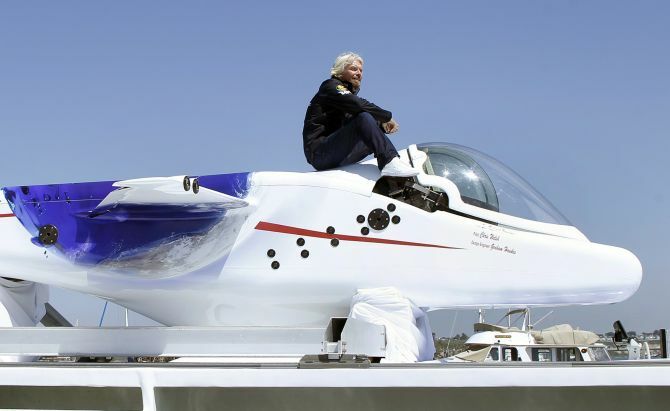 Richard Branson sits on top of a solo piloted submarine during at a news conference in Newport Beach. 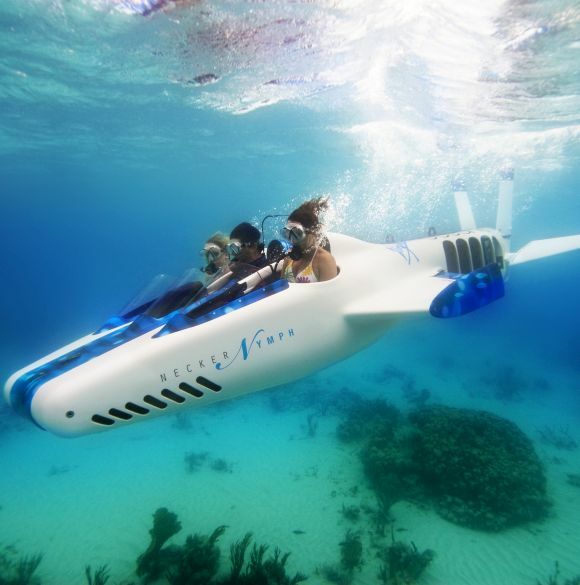 Branson and explorer Chris Welch announced plans to launch the submarine to the deepest points of the world's five oceans. 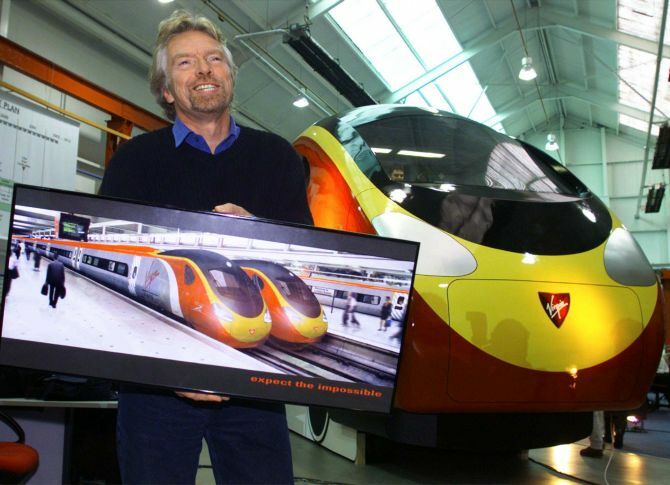 Richard Branson poses for pictures alongside a model of the cab of the Advanced Virgin Tilting Train. Branson is unveiling the design production line for the new high speed tilting train for the Virgin West Coast line.